Flagship phones come and go. In the case of the new HONOR View20 and its unique hole-punch selfie camera, so do notches. 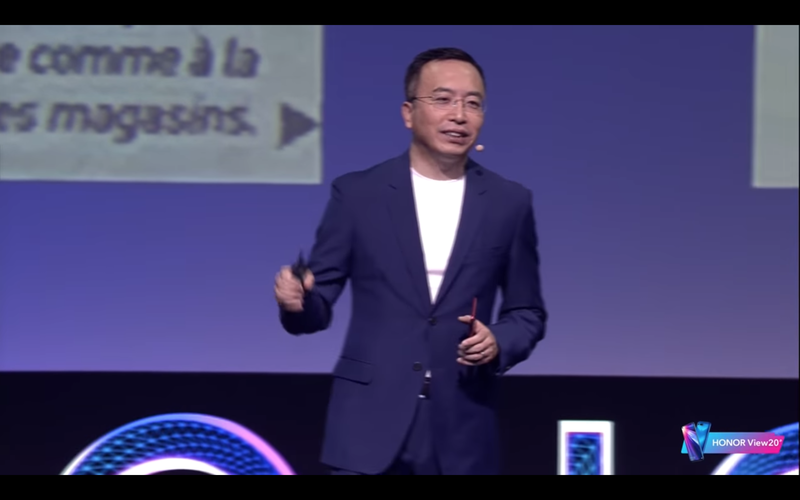 HONOR president George Zhao at the launch in Paris on 22 January. 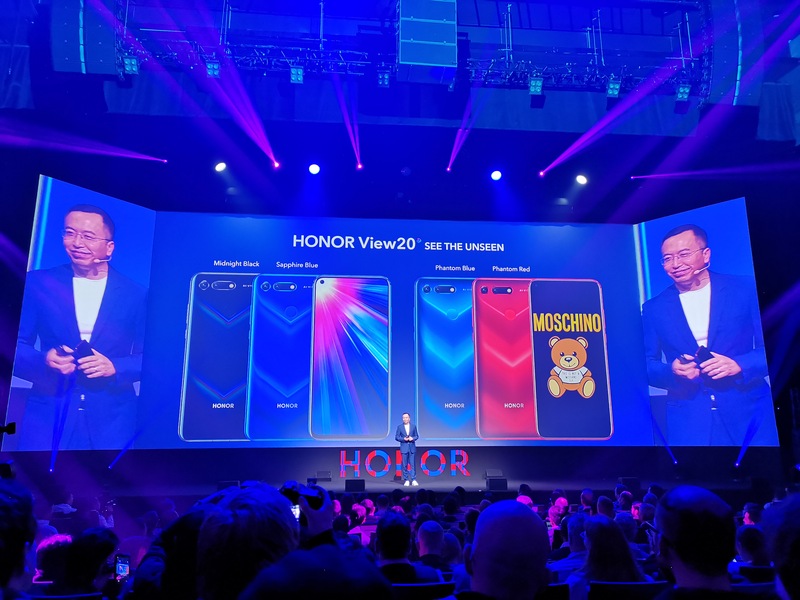 Boasting a 6.4-inch screen with its hole-punch selfie camera, the View20 is "winning over professional reviewers and fans alike", according to HONOR president George Zhao. 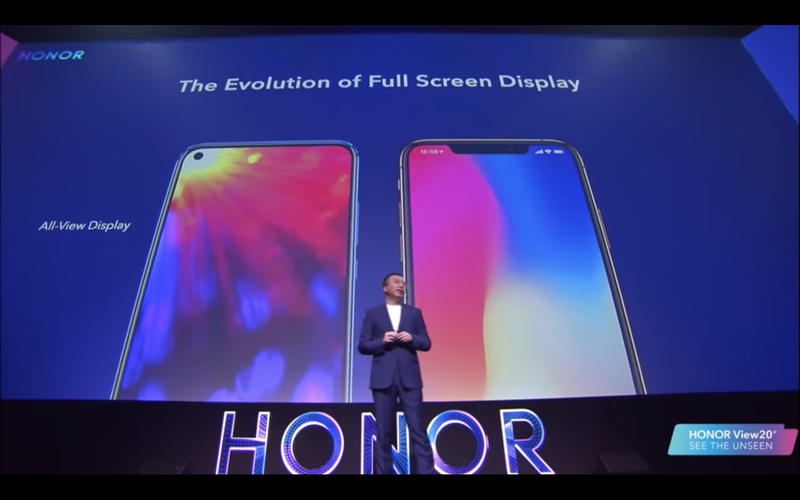 With minimal bezel and the 25MP in-screen front-facing camera, HONOR argues that it has managed to eliminate the notch while "ensuring better usability". 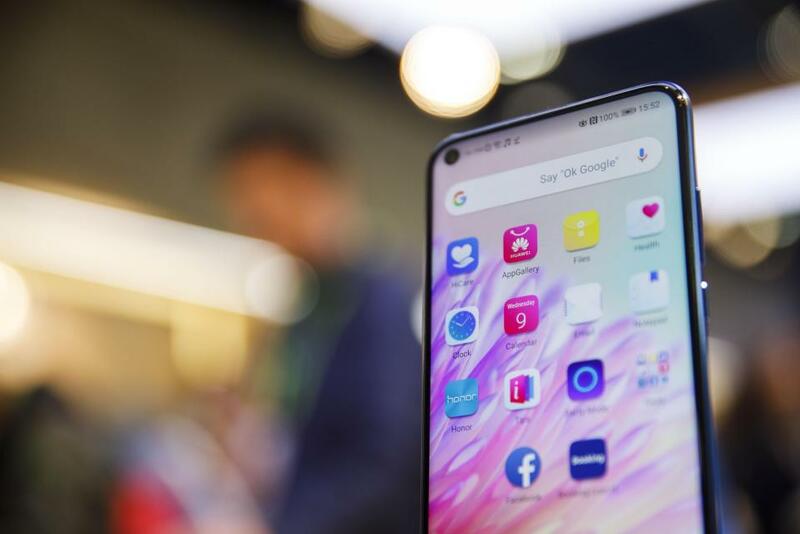 Removing the notch, hated by many on 2018 phones, was just the first step. The View20's 48MP rear camera, first of its own with the AI Ultra-Clarity mode, is another marvel. George called out the notch on the XS Max for restricting the content visible on screen at any point in time. To show what he meant, a photograph of a lighthouse on both phones appeared on the big screen during the event. While the top of the tower was visible on the View20 thanks to the hope-punch front camera, the XS Max was unable to display the same. One would have to pinch on the photo to zoom-out in order to view it in full. To prove the superiority of the View20 48MP rear camera, George invited an employee to perform a demonstration using both the HONOR flagship and the XS Max. 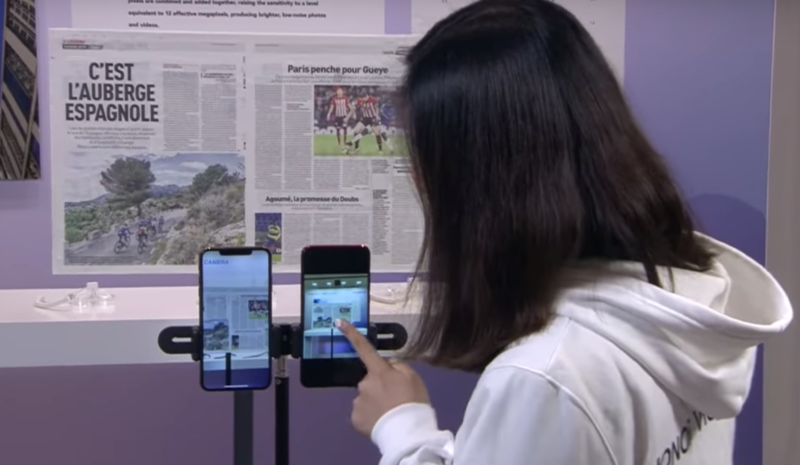 Both phone cameras were used to capture the same page of a French newspaper. 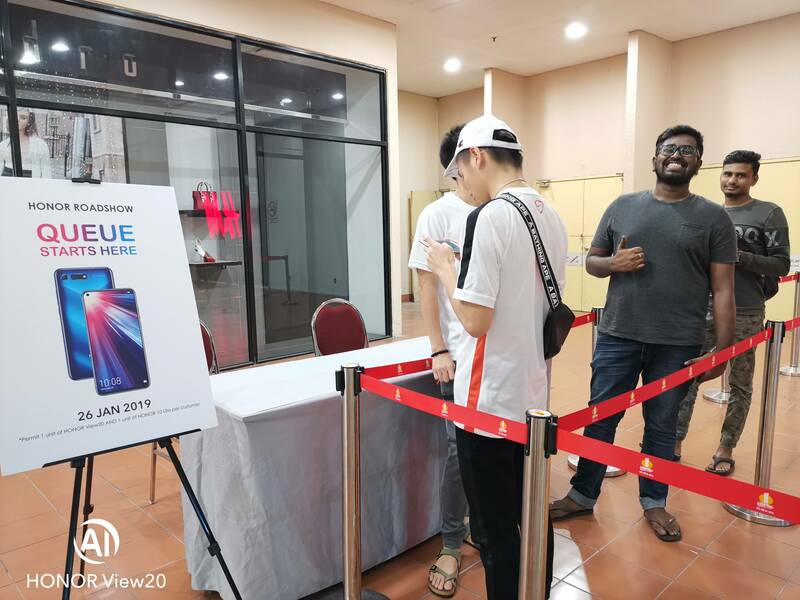 "The HONOR View20 (is) much clearer, and you can see more details," said George during the launch. 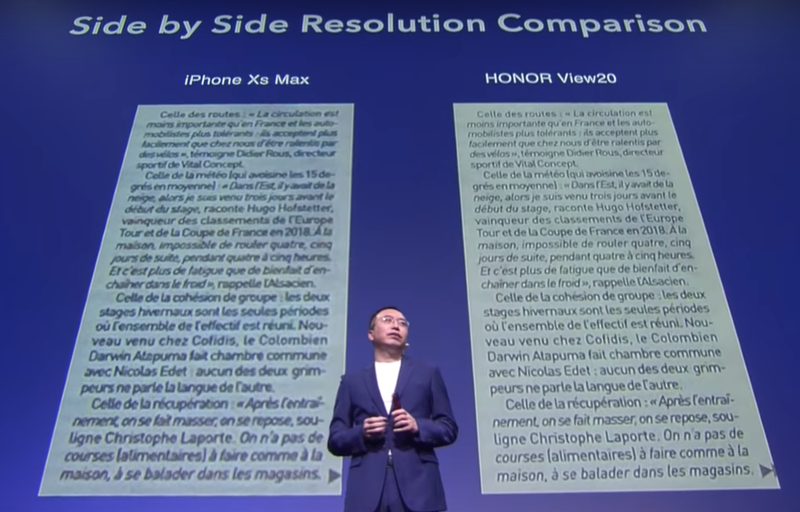 The HONOR president also noted that the DxOMark score of the XS Max is 105 while presenting the side-by-side resolution comparison with the View20. George boasted that the View20 is capable of receiving signals from two GPS systems simultaneously to improve location accuracy. He added that the View20 uses the HONOR AI GPS Satellite Selection technology to achieve the increased accuracy, especially in urban areas where signals could be obstructed by a bridge or other structures. 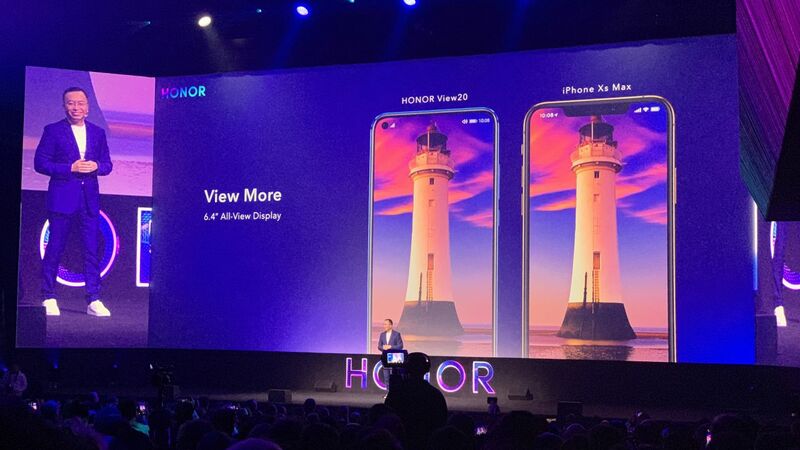 According to the HONOR president, location detection on the View20 is accurate to within 15 metres, while the XS Max was slightly better than the industry standard of 30 metres. Available colours of the View20. The phone will be made available in these colours: sapphire blue, midnight black, and for the Moschino collaboration – phantom blue. The phantom red colour will be available in the future. 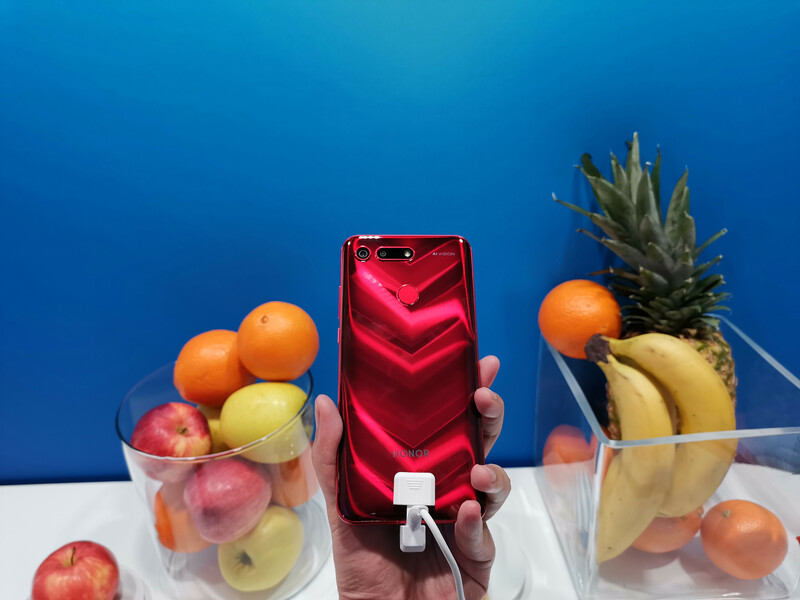 While the regular blue and black colours already show chevron shapes on the back of the View20, the Moschino edition of the phone has the chevron shapes intensified as they catch the light. Chevron shapes on the midnight black edition of the View20. The phantom red edition of the Moschino x HONOR collaboration for the View20, which shows intensified chevron shapes on its back. - RM2,499 for 8GB RAM + 256GB ROM (Moschino edition). First 200 customers at the roadshow, located on the Ground Floor of Highstreet in the mall, will receive an HONOR Watch Magic smartwatch. 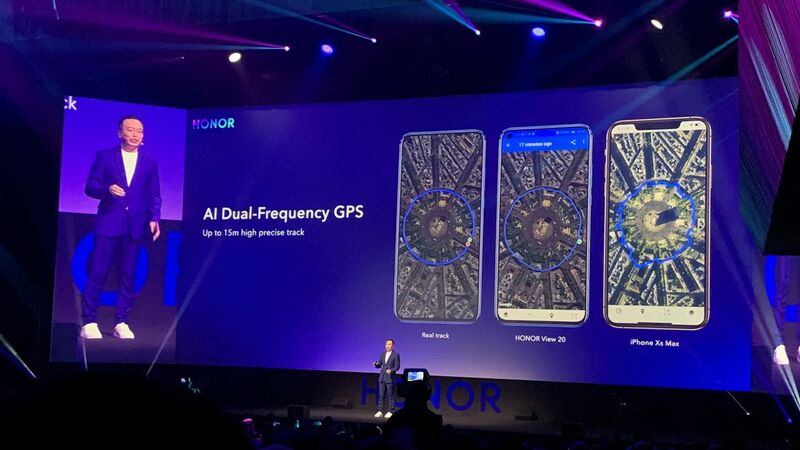 Subsequent 800 customers will receive an HONOR Band 4 instead. 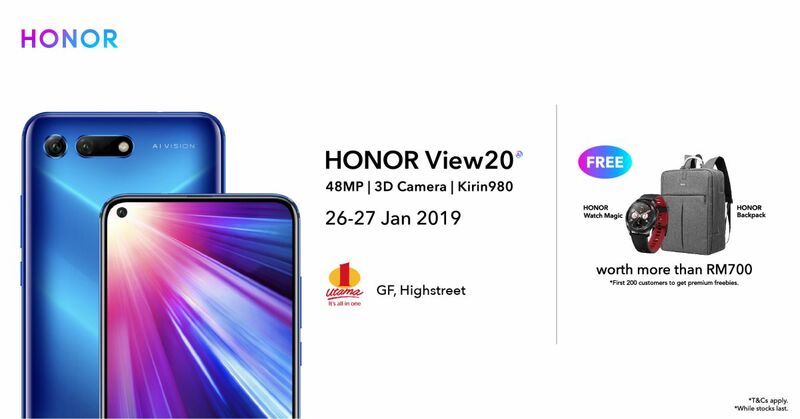 The HONOR roadshow in One Utama Shopping Centre. What do you think about the HONOR View20? Let us know in the comments below!